The most common way to honor pets on this day is by attending a blessing of the animals. There are certain churches in our country that hold animal blessings on Saturdays. If you want to stay at home to bless your pet, go to the website AmericanCatholic.org and site the prayer given there. It is great to shower your love towards your pet because they not only contribute in keeping you healthy but also happy. Show how much you appreciate him. Pamper him, take him/ her to the park, get a new toy or throw a frisbee. Ensure that you take him/her to the veterinarian for an annual checkup so that he/she stays in top shape. You can make your own pledge about your own pet. Every pledge can make a difference. So don’t procrastinate, act today and think what would be your pledge for your pet? Whoever you are, whatever you do, if you are concerned about animals and have pets, share the selfie with them on social media with your friends and with World Animal Day headquarters. This will create an awareness amongst others to care for animals in a humane manner. Remember, you can make a difference in the lives of these animals. So don’t procrastinate and do your bit today!!! Also, do not forget that your pets are a great means to spread the awareness amongst others about the way you can bond with them. So, take good care of them by getting key pet treatments like flea & tick, wormers, heartwormers, arthritis and joint care. You can get branded pet products at a never-seen-before discounted price only at Canada Vet Express. This is our opportunity to give it back to the animals who have suffered in silence for long!!! Every animal that we assist today can keep this endeavor going!!! So, don’t delay, as we are offering 12% discount on site wide pet care supplies for a limited duration only!!! This is your opportunity to do something for your pet. 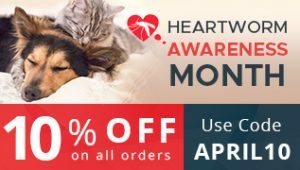 Don’t forget to use the Coupon Code : EXTRA12 while purchasing the pet products!!! This is your chance to hoard for your favorite pet products and do something to enrich the lives of your pet. Have a gala time shopping for your favorite pet products today! !